While some of you are likely already well beyond me, I want to share some of the tips I’ve picked up and learned myself that might help some of you newer or struggling trainers. Feel free to share your experiences. When you tap and hold a pokeball before throwing, the green circle around the target pokemon will shrink . This increases your chances of successfully catching the pokemon and reduce wasted pokeballs. In the bottom right hand corner of your screen you’ll see pictures or silhouettes of pokemon. 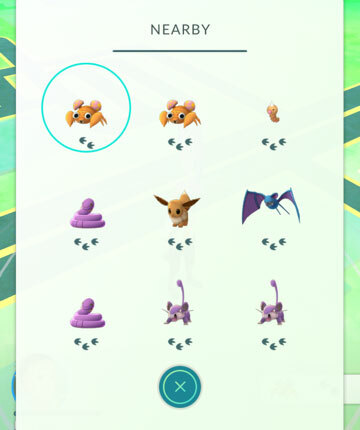 If you click on that section it will bring up a list of pokemon near you and their distances. One footprint is close, 3 footprints is far. Choose one you want to catch and start walking in a direction. You’ll know you are getting close when the footprints decrease. This helps you avoid having to randomly stumble upon pokemon. I’ve found several less common Pokemon by roaming off the beaten path. 3. Don’t Transfer Those Lower CP Pokemon! A big mistake most people make is thinking they should just Transfer of all those crummy 10cp Pidgeys back to Professor Oak. Nope! Hang onto them. When you hatch a lucky egg, evolve as many Pidgeys (or Caterpies or low candy-cost evolves) as you can. 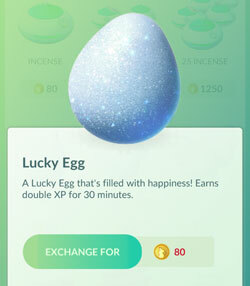 Each evolution is a HUGE boost of exp while under the effects of a lucky egg. You’ll easily power-level 4-6 levels at once. Simply draw a circle or do a spin motion around the pokeball before you throw it and you’ll increase your chances of catching a Pokemon. Pretty simple trick to improve those odds as much as you can when facing a higher CP catch. I know this sounds counter intuitive to most gamers. You see one team dominating and you think to yourself, “I need to be on that team.” Don’t! If your town is all Red, go Blue or Yellow! 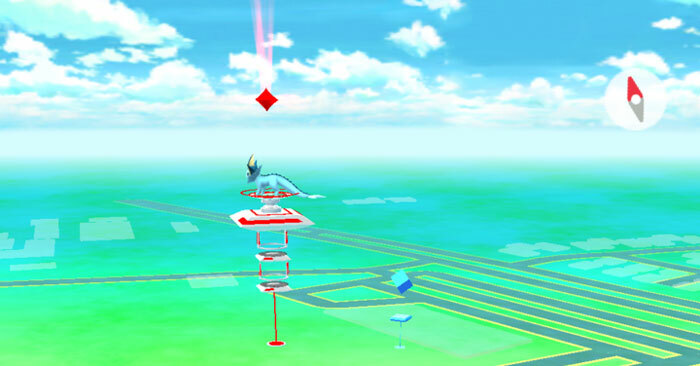 You get way more EXP taking a gym than you do training at one. 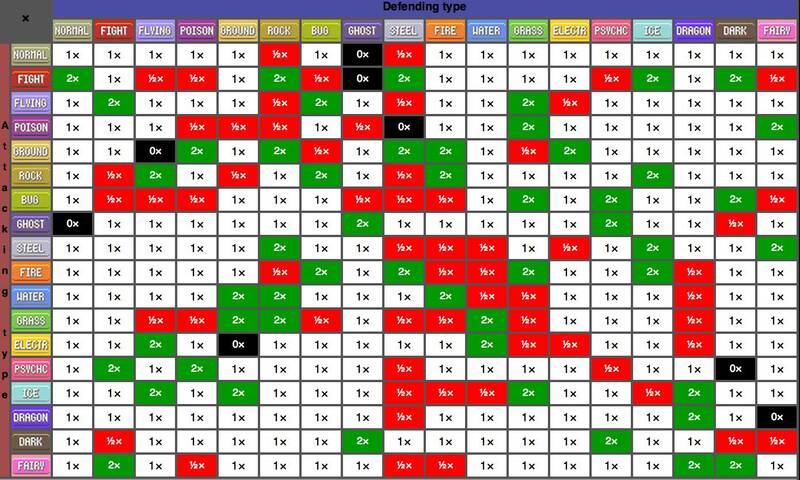 Just like in the pokemon games, your pokemon type matters. Don’t use fire against water, or birds against electricity. Before fighting a Gym Battle be sure you pick the right type of Pokemon to guarantee your success. A turn table works too! If you’re like me and can’t possibly imagine the torture of hatching eggs by walking 10 kilometers each, then simply place your phone in a (clean) salad spinner or on a turn table and give it a whirl! Congratulations, you have evolved into the ultimate form of lazy. Certain pokemon can only be found at certain places or certain times. Need some ghosts? Go to a Graveyard! Yeah, that might be a little disrespectful so don’t make it worse by dancing on a grave when you catch that ghastly. Night time helps with nocturnal pokemon. You’ll find plenty of water pokemon near lakes. My bags are full of Krabby since my place is right on a lake. 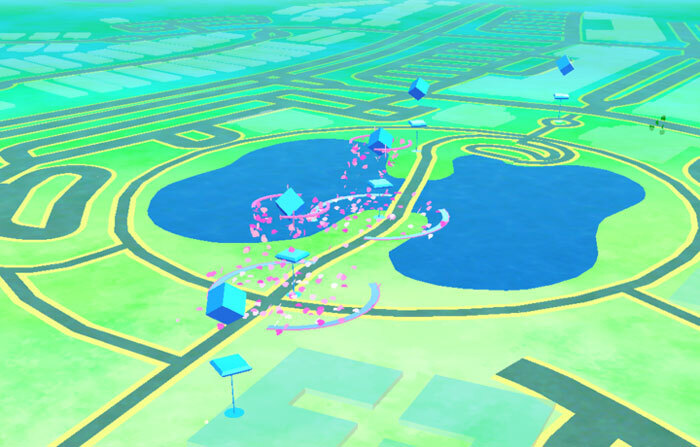 This means someone has “lured” pokemon to this location. First, make so the real life Team Rocket aren’t there. It’s usually good to travel in groups in broad daylight. After that, sit back and collect items every 5 minutes + catch lots of Pokemon. Lures last 30 minutes. Next PostQuickCast Episode 6: What Are You Playing? This is so great! I love the sense of humor throughout. One of the things that’s great about gamers is that they are just a little bit quirky! I’m going to share this with my FB audience. have you tested number 7? I’ve heard it doesn’t work as it tracks gps position differences not anything like a pedometer? All of these are tips from my own experience. For Tip 7, a friend recommended a turn table. I tested with a spinner. It actually does work if you have it going slow enough. Don’t whip it up to full speed. It most definitely does work — or it did before this morning’s patch. I will verify again and confirm. Huh interesting. I had the same idea but a few people told me it didn’t work because it didn’t count steps it used the difference in GPS position over time. I think I can take credit for mentioning Pokemon Go first on this site. I’ve never tried it, but the younger me would have been fascinated. It would’ve been hard to drink beer while walking through cities though. So I probably would have only played for a week. And I kinda always hated those king of the hill games anyway. But this is a fascinating step. We were all waiting on the industry to create the ultimate VR headset, and then it turns out to be our phones. Astonishing. Didn’t see that coming. Within a year there will be 12 of these type games. Not Pokemon. They got first mover advantage though. I’m waiting for the one that lets me stay in my yard and level up, while drinking a beer.